Adam adheres to the strict guidelines governing the profession under strict guidance from the General Dental Council (GDC) "Standards for Dental Professionals". I always knew I wanted to go into dentistry from an early age. Originally from Essex, after qualifying from Guy's Hospital in 1998 I came back to work in the Southend area. I have worked alongside Neale Fraser for over 15 years. 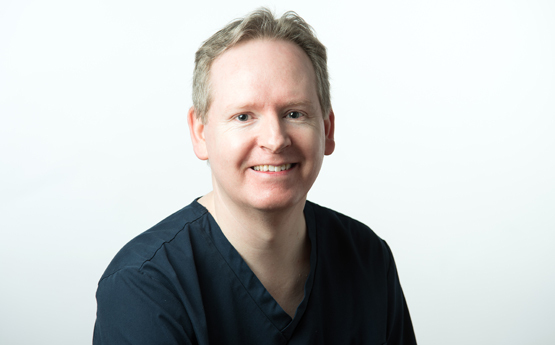 I have worked in private practice at Royal Mews Dental Practice since 2010 and am keen to provide a relaxing and caring environment for my patients with the help and support of the team around me. I am interested in all aspects of dentistry; especially orthodontics/tooth straightening and cosmetic dentistry. Over the years I have attended numerous courses including studying at the Perfect Smile Academy and have also become a 6 Month Smile, Cfast, Clearsmile brace and Inman Aligner, provider. I have studied on the Advanced Orthodontic Course with the IAS Academy, being taught and mentored by the highly skilled and experienced orthodontic consultant Professor Ross Hobson. I'm an Invisalign provider and proud to embrace digital dentistry with digital scanning technology in the form of the iTero scanner. I enjoy family life very much and am also passionate about music having been a musician since a young age. I enjoy playing piano and violin in particular, and I am involved with a local community choir. I have been a musical director of local pantomime productions over the years. Recently I have taken up playing the clarinet. I look forward to welcoming you to the practice and helping you achieve the smile you have always wanted. I feel delighted, the results have surpassed all my expectations...my many thanks to Adam and the team, I am so pleased I made the decision to go for it and now will smile with great confidence!